In the listing for the Bernard Schwartz residence, we are told that Wright considered the LA block houses to be Usonian. Did we know that ? I've seen the observation that Freeman was his first permanent residence (not a vacation house) to integrate dining room and kitchen, as the Usonians did. If Wright himself said that these houses were Usonian, this could have been because the method was an (unsuccessful) attempt to cut costs. Freeman has an unusual octagonal table (?) separating/connecting kitchen with living room, as shown (at least) in Storrer's plan. Can someone elucidate that arrangement for me ? The 20s block houses were called "knit block." The Usonian appellation most likely came retroactively much later on. The original divider between Freeman living room and kitchen was made up of cabinets with wood-framed glass doors opening into both rooms, a pintle-hinged glass and wood door, and between these two sections, a 27"-high octagonal table, 38" across, built in with glazed panels shutting it off from the living room. It was intended that Harriett sit in the kitchen and Sam sit in the living room, presumably with the panels open. Both Sam and Harriett, on separate occasions, told me the arrangement was awkward, with too little leg room, and that they had Schindler remodel the area completely early on, cutting down the table to coffee table height, replacing the glazed paneled cabinet doors with solid wood, and designing a long, low, multiuse table for the living room. The lowered table can be seen in many photographs; it is still with the house. In the 50s, the kitchen was redesigned by former apprentice Bob Clark in a very 50s manner. I wouldn't expect Mr Wright to have invented the term Usonian in the 'twenties and then sat on it for a decade -- but it wouldn't surprise me to see him extending the use of his new word, once devised, backward in time to cover some earlier work. Nor would it surprise me to find others putting words in his mouth . . . ! Just dreaming' . . . ? Bold, underlined and italicized -- I didn't know you could do that ! I was pointing out that the McKinney's saw the preservation of the house as more important than the quest for a dollar. When it was determined the house would not sell to a preservation minded buyer, even when subdivided from the acreage, they were willing to donate the house such that its recreation elsewhere would be financially viable. Still I believe Haynes is a different case and is more viable as a house where it is, if it were to be marketed reasonably. I thought maybe you were fancying that the owner of Haynes might donate the house. Fat chance of that ? I still can't imagine Haynes being moved intact, in toto -- thought I'd be happy to be proved wrong. In fairness, I suppose it should be noted economic differences are in play...the McKinney's probably inherited the Lindholm house and may be settling an estate, whereas RJH purchased Haynes. 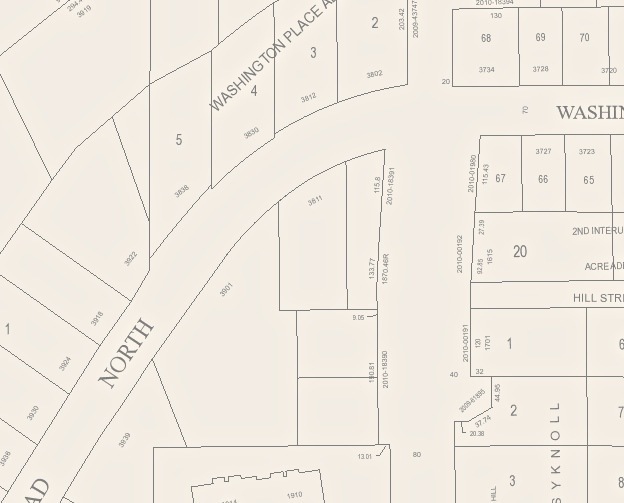 The Lindholm site is, due to its much larger size and situation on a major arterial, more salable in the current state of regional sprawl as clear acreage than it is with a historic house on it, which is possibly in a position not ideal for logical subdivision into efficient commercial lots. The Haynes house is on a much smaller residential lot, that is near enough to commercial development to make for convienient, possibly less car dependent living, but it is not immediately adjacent to it, such that commercial development opportunities are nil even if local zoning were to allow it. Further, that small distance makes Haynes more attractive than Lindholm as a place to live to a potential homebuyer as the lights, noise, and smells of commerce are not at the house's doorstep as they might have been with a subdivided Lindholm. Though I would have liked to see Lindholm stay in place, I understand why the situation worked out as it has. I would like to see Haynes stay where it is and continue to be a private home...hopefully the home for a Wright enthusiast with the means and fortitude to sensitively keep it in good, reasonably authentic condition. The city interactive map is easy to find online. The site is west of downtown and within the Interstate. See p 4 for a larger version of the Google aerial. Lots of bubble-wrap, and helium balloons. Heck, take it to the UPS store and let them handle it . . .
At the risk of repeating myself, problems with the site (if there are any) could easily be remedied by thoughtful landscaping. 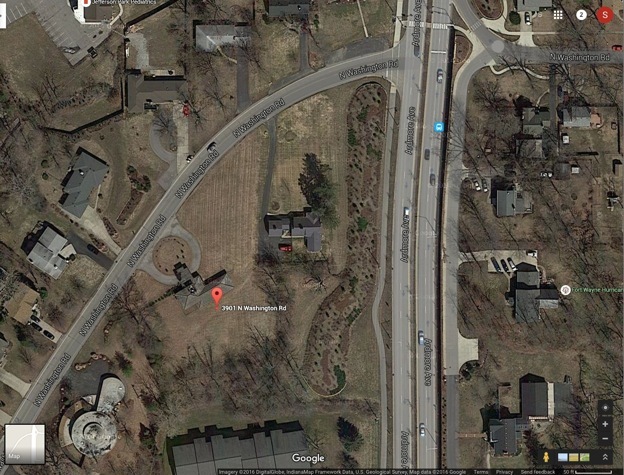 Personally, I would want to block the view of the neighboring house at the corner of Washington Road and Ardmere... The large, flat expanse of grass with that one row of junipers is rather uninspired. But the lot doesn't seem too small, especially when compared to the neighboring houses on the other side of Washington Road.